Firing an employee can be stressful for everyone. These tips can help. Despite a careful and thoughtful interview process, sometimes things don’t work out and you need to terminate an employee. But do you know what to say when you fire someone? Nobody likes losing his or her job, even when it’s with justifiable cause. You might have tried performance reviews, training, pep talks, and verbal or written warnings. But when nothing else works, sometimes you don’t have a choice but to let someone go. Before we talk about what to say when you fire someone, first a few tips. First, never fire someone unless you can meet with them face to face. Firing someone over the phone, through an email or by text message is unprofessional and completely unacceptable. Once you have scheduled that meeting, here are some tips to help you survive this task with dignity for you and your former employee. Jane, we have decided that we need to let you go. While we thank you for your dedication to the company and the hard work that you have done here, we feel this is the best decision for all parties concerned. We have some things to go over with you, and then we can answer your questions. Informs the employee quickly and definitively. Don’t make the employee feel there is any chance he or she can change your mind. If you want to soften the blow, you can add some pleasantries if you feel they are necessary. Just don’t go overboard. Nobody likes being fired. 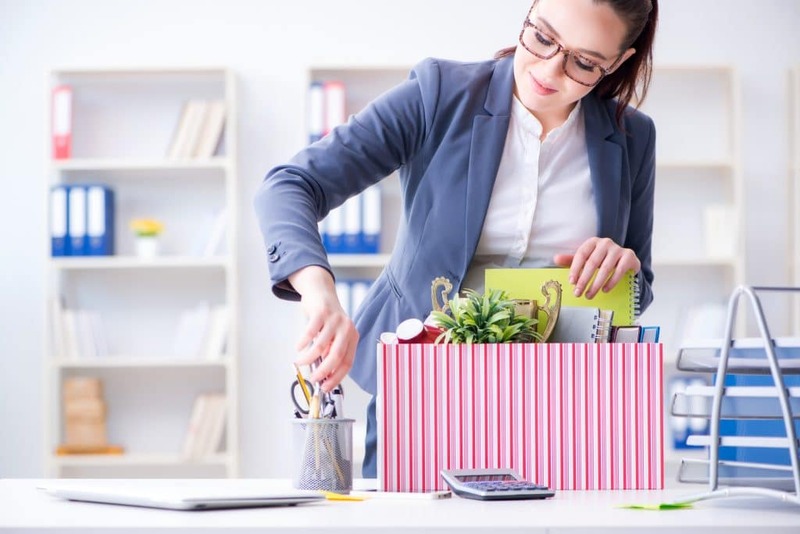 Taking this approach takes the pressure off the employee being terminated, which in most cases can make this unpleasant occasion more bearable. I have your final paycheck here, which covers your pay through today (or whatever final day you choose), which I will now hand to you. We have a separation agreement (and hand it to the employee) and a severance of $X (have an envelope ready with a check inside) that I am ready to give to you. I understand if you might need some time to review it. The agreement is good until Y (date it will expire). Please leave your computer and keycard on your desk. If you would like to take your belongings home with you, David (someone from human resources) will assist you. After this meeting, I am going to meet with the rest of the team to inform them what’s going on. I feel that you are leaving on good terms with everyone. If you would like to reach out to a co-worker, that would be fine. But please wait until after work hours today to do so. Do you have any questions? The reason behind this approach is to get the important items such as paycheck, separation agreements, cleaning their desks and so forth out of the way as simply and in as straightforward manner as possible. You want the person being terminated to leave with dignity. Bob, I don’t think this meeting is the right place for that conversation. However, if you feel that my feedback would be constructive, perhaps we can have lunch in a few weeks. If you are interested later one, just email me or call me at the office. You might hear from the former employee, but changes are you won’t. If the former employee asks about unemployment eligibility, refer him or her to your human resources department or third-party service (if applicable). Janet, that’s a good question, but one that could be best answered by HR Services Inc. Here is their contact information (and hand them a paper or card with a contact person, phone number, and email address). If you get someone who is angry, just keep things civil and try your best to close the meeting fast before things deteriorate even more. No matter what is said to you in anger, keep things polite. Thomas, I have enjoyed working with you but there is no need for that kind of talk. I wish you well in your future endeavors. Have you discovered what to say when you fire someone? What has worked to accomplish this task? We welcome your feedback. Please share your thoughts with our audience by commenting below!